Once a sheep has been shorn, it is released into a counting pen. This allows an exact tally to be kept of each shearer’s work. 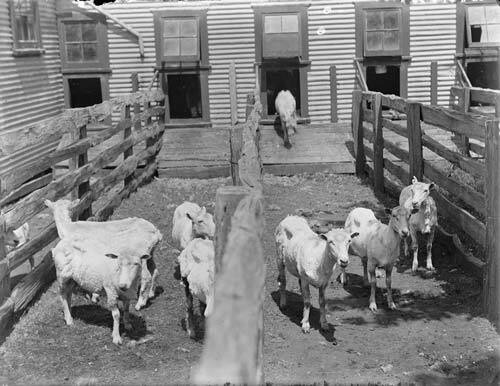 These newly shorn sheep are at Mangatoi Station on the Mōkau River, in 1929.